Well over a year ago, we went to a pre-Christmas celebration at the home of our dear friends Jenn and Jos. This tradition was one of my favorites of the season. Jenn and Jos welcomed us into their beautiful home with their perfect tree and lovely decorations, and cooked a much-stressed about meal (they came to all my cooking classes and felt some very unnecessary performance anxiety about cooking for me), and poured special and delicious bottles of wine from their collection. On this particular night, they were both sporting new and blinding rings on their left ring fingers. They had gotten engaged. We were beyond thrilled for them. We spent that evening talking about their upcoming wedding. 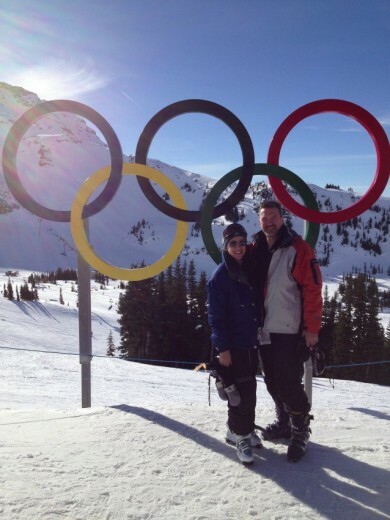 They had chosen Whistler, a mountain resort in British Columbia – site of all the skiing events in the winter 2010 Olympics – as the place for their wedding. It was where they had taken their first vacation together and also where they had gotten engaged. They asked us tentatively whether we could come and we both yelled “YES!” before their question had even left their lips. We started getting excited about planning a mini ski vacation around their wedding. 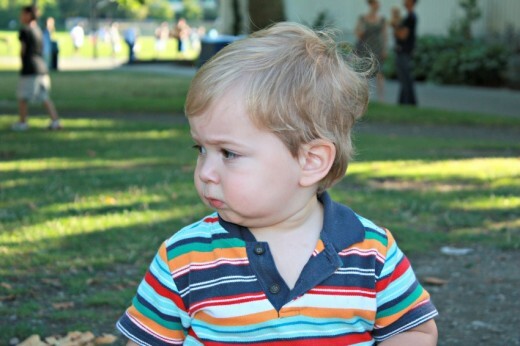 When we decided to move to Oakland last summer, Jenn and Jos figured large in my mind. Not only are they terrific friends who we would feel sad saying goodbye to, that Christmas tradition was important to me, and not attending their wedding was not an option. One of the first things we did when we made the final moving decision, was to book flights to Vancouver and reserve a hotel room in Whistler. It was the first vacation we booked flying out of our new city. Our trip there was wonderful on so many levels. I had not been to Whistler in ten years and seeing it post-Olympics, with the village so much larger and yet retaining its unique charm, was such a treat. We got five nights there, a bit of time to spend as a family and lots of wedding festivities. We got to ski and also just enjoy the lovely town and relax. 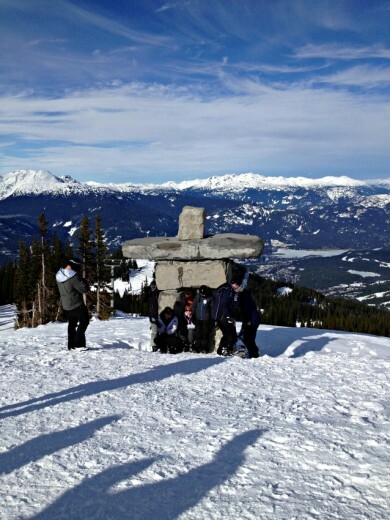 Whistler is a resort made up of two mountains, Whistler and Blackcomb, both of which are huge. 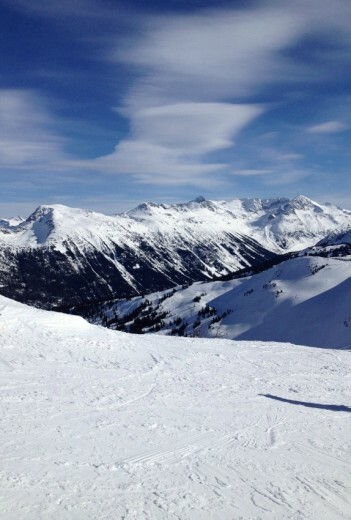 Blackcomb is just a hair higher but both of them boast one of the longest verticals in North America. That means if you find yourself at the top of the mountain at the end of the day, it will take you about 45 minutes to ski down to the bottom. Even though we were there over a very busy weekend, we only waited in a few lines. That is the benefit of a big mountain and speedy lifts. Our first full day there, we put the boys in ski school and had a whole day to ourselves on the mountain. I grew up skiing and have been lucky enough to ski some amazing mountains, but I am really a fair weather skier. Fortunately, the weather was more than fair, gorgeous sunshine and temps around 30ºF. We truly couldn’t believe our luck. 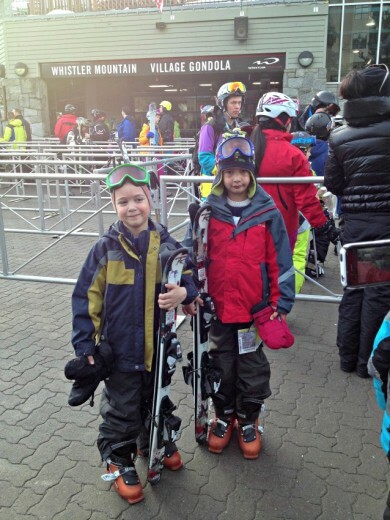 We stayed put on Whistler and got in some great runs. The boys seemed to do well in their lessons. The next time we skied, we did so as a family. 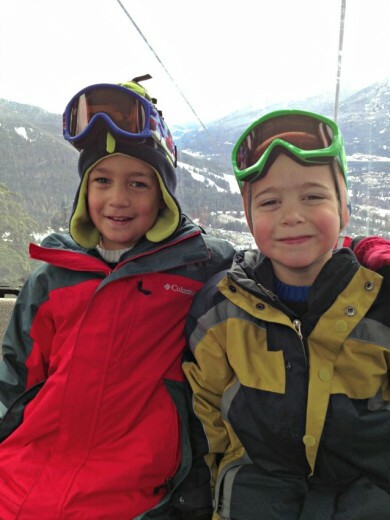 The boys both did two years of ski lessons when we lived in Seattle, and Graham also had some lessons in Sun Valley when he was five. Graham has become a really good skier, able to keep up with us for the most part. Spencer is still only six and tends to just point his skis downhill, do a “pizza” (snowplow), and go. We had to urge him to turn and do “french fries” (parallel), instructions he may or may not have listened to. At least this year, he didn’t fall much, since falling tends to involve all parts of his ski equipment falling off, followed by tears. 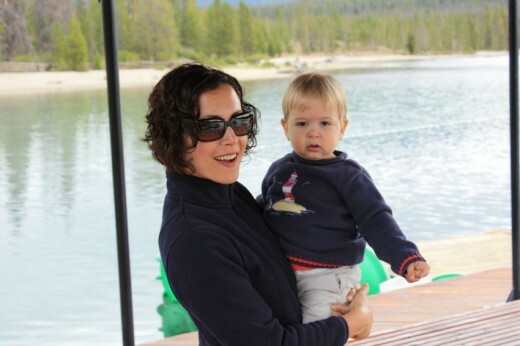 Whistler is set up really well for families and young children. There are “learning zones” on both mountains and the ski schools are incredibly efficient and well run. The kids have their own lodge where they eat lunch! There are cool little finds on both mountains, such as this castle. 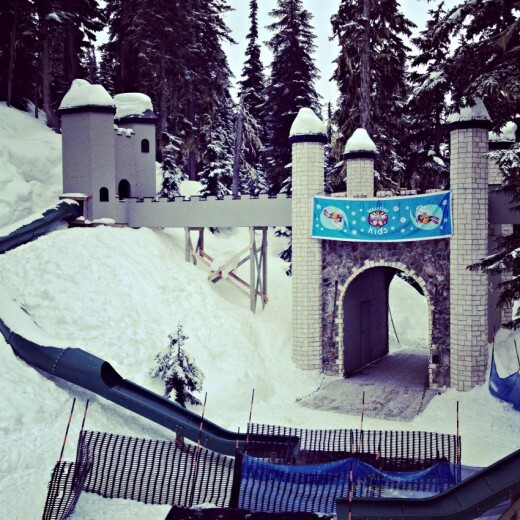 We took the gondola over to Blackcomb and found our way to this treasure. The boys took their skies off and went down the slides for a while. 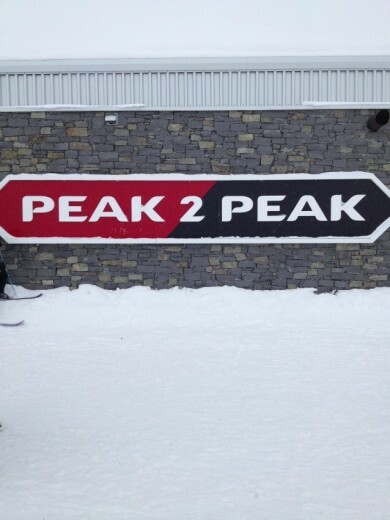 The cool think about going over to Blackcomb is taking the incredible Peak 2 Peak gondola. This is an incredible, and relatively new, gondola that we caught up at the top of Whistler. It holds several world records, one of which is that it has the longest span between ropeway towers – 1.88 miles. If you are afraid of heights, which I am not, I would not advise going on this gondola. Especially not in one of the two cars that have glass bottomed floors! I would have taken more pictures from the car but we were gliding through fog. This is what two boys look like after a day on the slopes and some time in the hotel pool. Ah, the wedding. 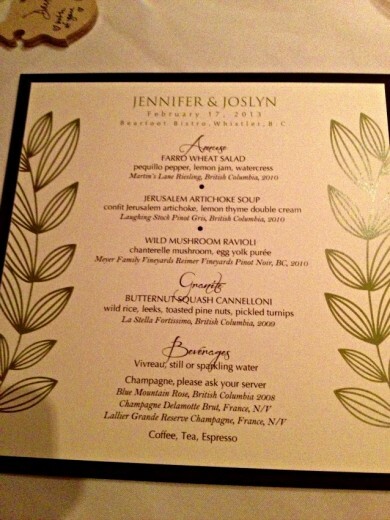 Jenn and Jos are considered by all who know them to be very generous people. In all respects. If you ever have the opportunity to go to a big party thrown by two generous people, I suggest you go. This was the nicest wedding that I have ever been to, with no expense or experience spared. 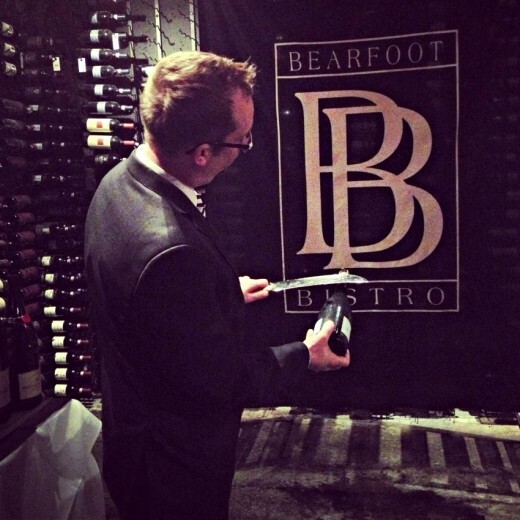 They were extremely thoughtful about all aspects of the parties, both for the rehearsal dinner at the Rimrock Cafe and the incredible reception at Bearfood Bistro. 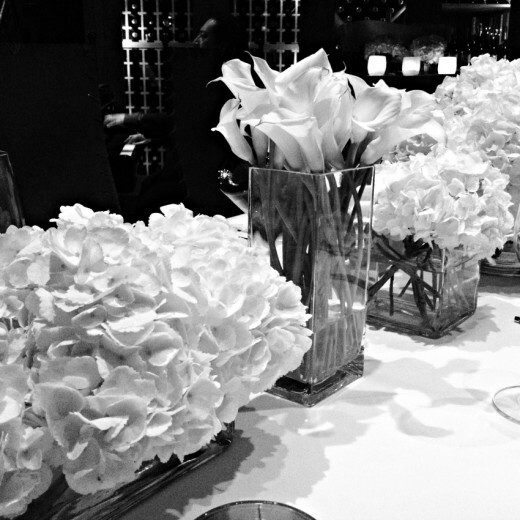 At Bearfoot Bistro, the tables were simply lovely with tons of white flowers and themed tables based on places where they had special experiences. I was at the Paris table, fitting for me. Course after course of amazing food came out. I have no idea how they were able to get all the dishes out at one time, everything hot, perfectly seasoned, and beautifully plated. If you have ever had bad wedding food, and we all have right?, this was the antitheses. 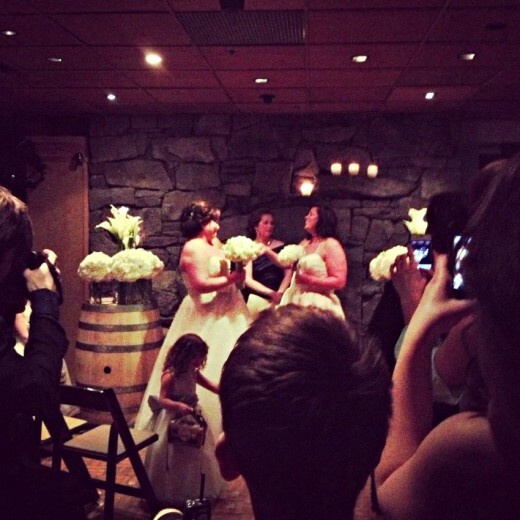 In addition to being treated to amazing food, beautiful tables, and an incredibly moving ceremony that had me cursing the decision to wear regular mascara, we got to saber our own champagne in the wine cellar. 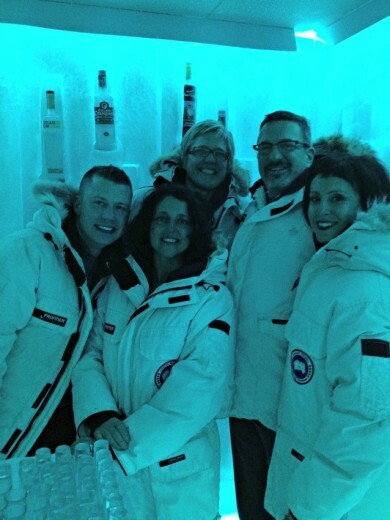 And we got to taste vodka in a frozen room. Are you a vodka drinker? 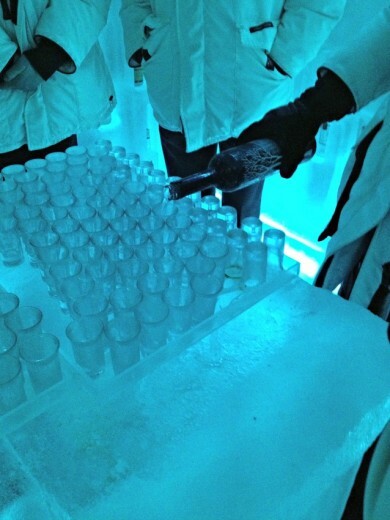 I am not so I abstained from doing a shot but I did take a sip and what do you know – vodka tastes better in a frozen room! 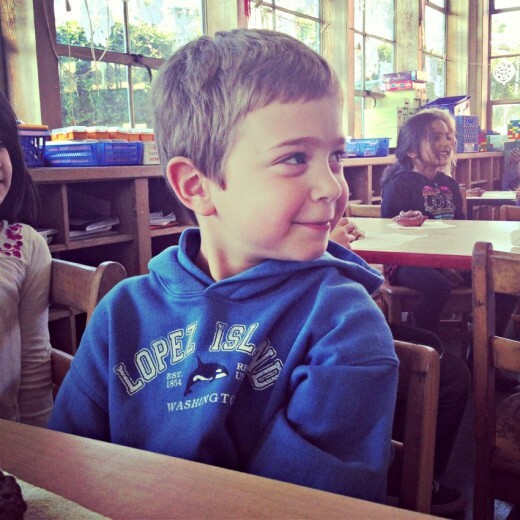 Last Sunday we went to a Super Bowl party in Mill Valley which is in Marin County. 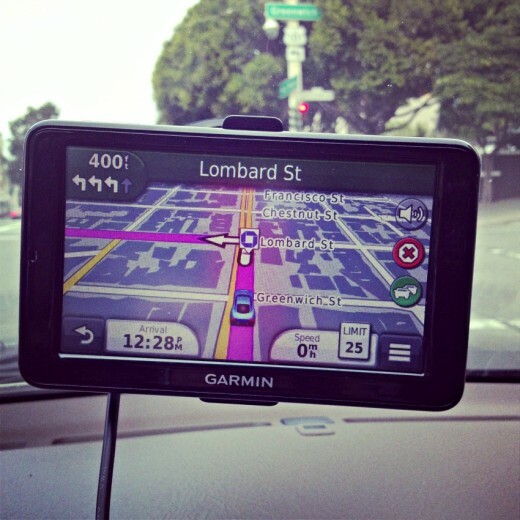 There are two ways to get to Marin County from Oakland. 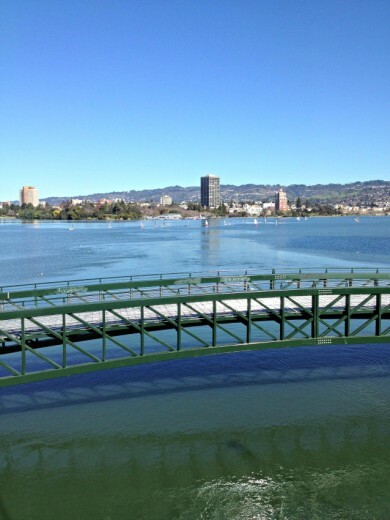 The quickest way is to drive north and head across the Richmond Bridge. 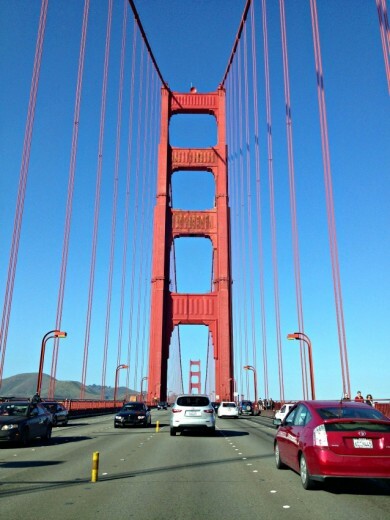 The slower way is to go across the Bay Bridge to San Francisco, then go across the Golden Gate Bridge. Because the boys had not been across the Golden Gate Bridge yet, we opted to go into the city, have lunch at Fisherman’s Wharf, and then across that beauty of a bridge. (I realize that the configurations of the Bay Area might be mysterious to those of you who have never been here. I’m thinking of doing a Bay Area post at some point.) I myself had not been across that bridge in 13 years, so it was a treat for me too. Tuesday I went back to Marin County to meet up with Denise and Tracy. We meet for lunch on the first Tuesday of each month and it was Tracy’s turn to pick where we went. 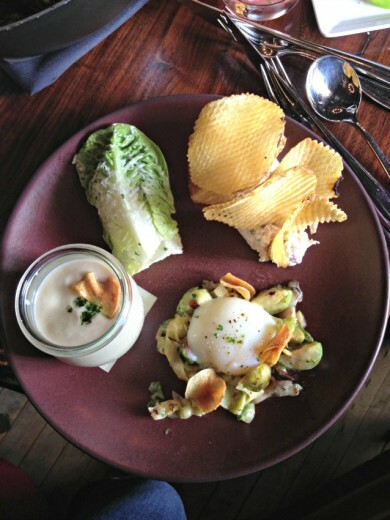 Murray Circle is in a beautiful secluded spot in Sausalito and we had a delicious lunch. I love a plate with lots of different things on it. 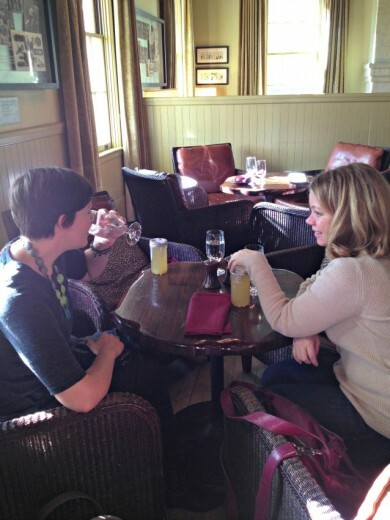 I met these two ladies back in 2009 at the first BlogHer conference and over the years we have truly become friends. I met some other great friends at that same conference, people I have kept in touch with and seen over the years. The moral of the story is, if you have a blog and are thinking of going to a conference, go for it. Even if you get nothing out of the sessions, you will meet some great people. Her name is Veronique and she is essential when I am driving anywhere other than my little ‘hood. New birthday tradition in our house. 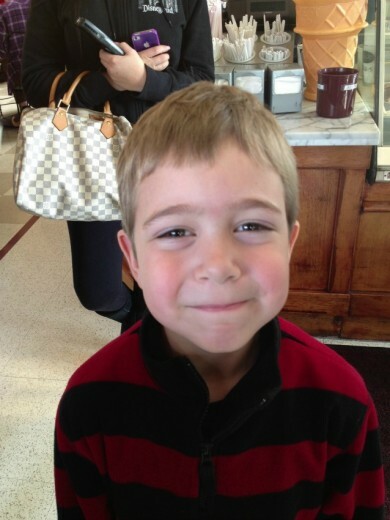 The birthday boy gets to pick whatever cereal he wants. 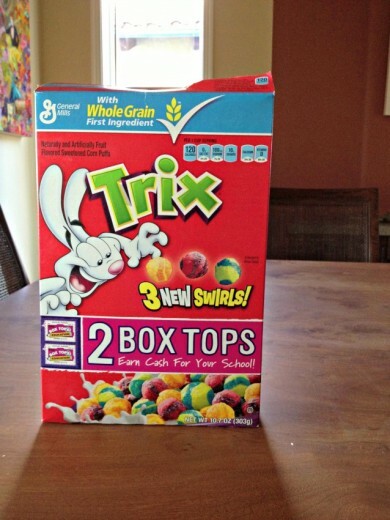 Back in November, Graham chose Lucky Charms and last week Spencer chose Trix. I actually had a moment when I thought they wouldn’t like the sugar cereals because they have the refined palates of their mother. WRONG!! Me. Bright light. Wet hair. 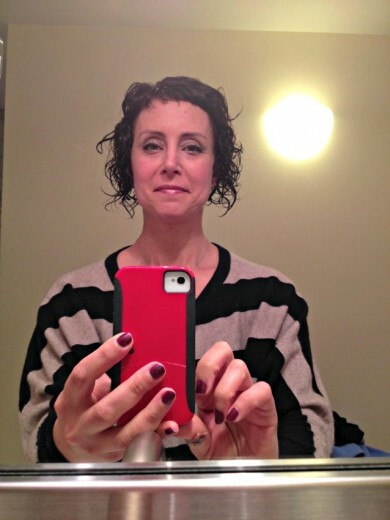 I think I might be over the bangs. Time to grow them out? Friday, Saturday, and Sunday, I had experiences that continued to confirm how awesome it is to live in the East Bay. It all started with this salad. I met a friend for lunch at Burma Superstar, a place that was recommended to me no less than 20 times since we first moved here. 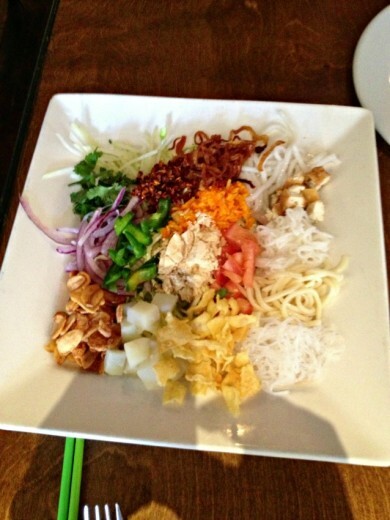 It is called the Rainbow Salad and it stars 22 different ingredients, four of which are different types of noodles. All of the food we had was crazy delicious. After lunch I walked around Temescal Alley, a tiny network of shops just off Telegraph Avenue. 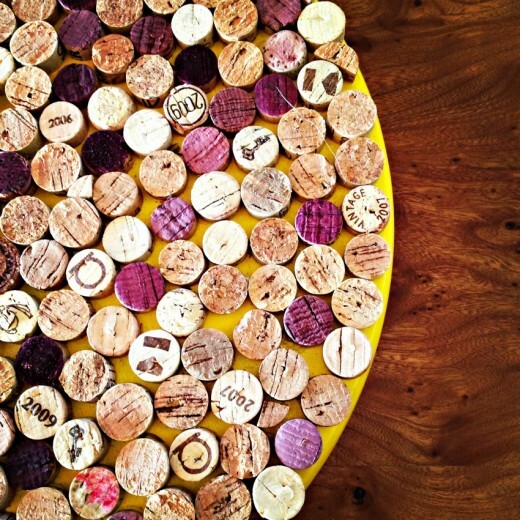 So many great things there including this lazy Susan, with wine corks, that came home with me. 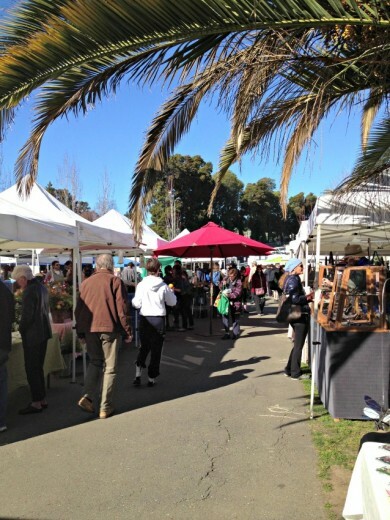 Saturday, I finally made it to the Grand Lake farmers’ market. So much citrus! Avocados! Lettuce, all kinds of greens, broccoli, cauliflower, and SO MUCH ELSE!! Also, a beautiful day. I put my bulging bag of produce in the car and then walked around Lake Merritt. It was hard to believe the East Coast was getting pummeled while I walked around in a lightweight jacket. On the way back to the car, I stopped in to Oaktown Spice Shop. 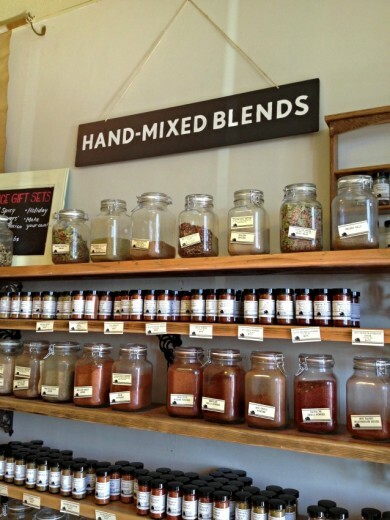 I had been missing my favorite spice shops in Seattle but now, I’m over it. There were so many good things in there and I can’t wait to go back. 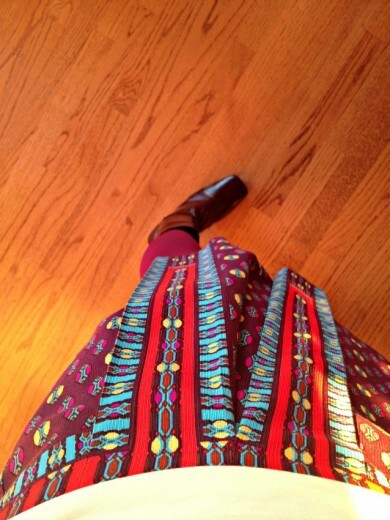 Date night skirt. Also, red boots. I dragged Randy to a ramen place that was on the cover of San Francisco magazine and also profiled in the New York Times. We waited 2 hours to sit down (which is what I was expecting) and then were underwhelmed by the food. 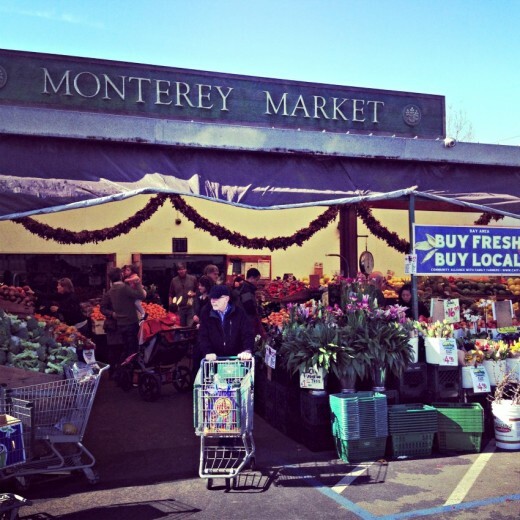 Two locals expressed shock and dismay that I had not yet been to Monterey Market. So, on Sunday, while the boys had separate birthday parties to attend, I hopped in the car and went. Produce nirvana, seriously. And incredible prices. It’s about a 25 minute drive from my house but I will be going there weekly for sure. 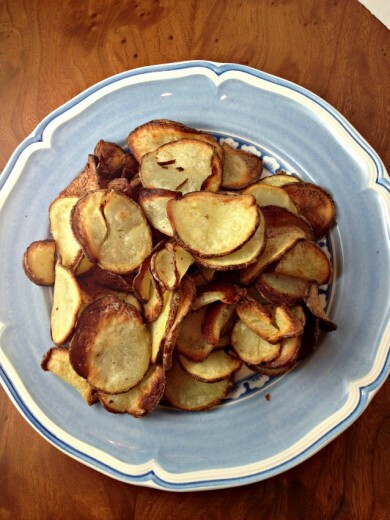 I made chips using my T-Fal Actifry. Not as good as the fries I made a couple of weeks ago, but still delicious, especially considering you only use one tablespoon of oil. And guess what. I have one to give away. Stay tuned! Everyone has a story about a food they could not eat after getting the stomach flu. In second grade, I got a terrible stomach flu and for years afterward, I could not eat baklava. Yes, baklava. As a seven year old, I had baklava in my Donny Osmond lunch box. Perhaps this gives you a window into why I love, work with, and write about food. My mom cooked and baked all kinds of things and we went out to dinner at nice places. What she made for dinner was what was for dinner. If we didn’t like it, we didn’t eat. She was (and still is) a good cook who had her 20 or so dishes she loved to cook. We ate things like meatloaf, beef stew, and barbecued chicken, but we also ate mushroom barley soup, pasticcio, and eggplant parmesan. I was a good eater, tried new things, but just could not embrace eggplant parmesan. I blame the eggplant. I’ve mentioned this several times before here but eggplant and I are on acquaintance-ly terms, not friendly terms. 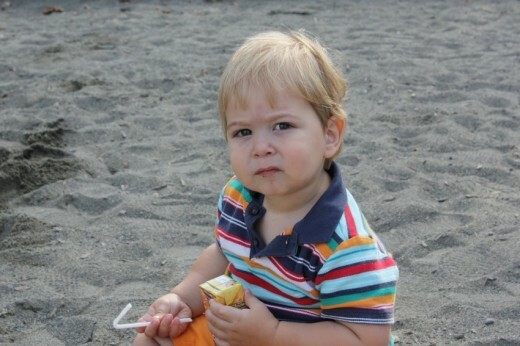 As in, I see you, I know you, I will smile at you, but you are not my friend. Over the years I have learned how I can be more friendly with it. Puréed in a baba ghanoush is nice or thinly sliced and grilled until smoky will do just fine. Rolled around pasta is a good way to disguise it. But put big chunks in a Thai curry or pasta dish and I will move it over to the other side of the plate. 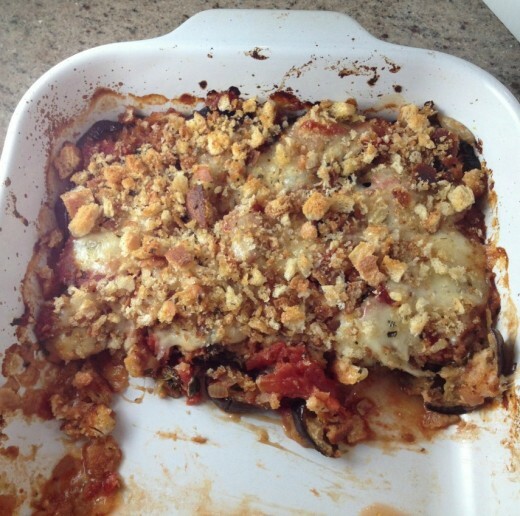 As a grown up, in spite of my ambivalence to aubergines, I found an eggplant parmesan recipe that I liked. I made it for years and then one day, I stopped liking it. The eggplant itself was a little too much in the foreground and it had an annoying tendency to get all soupy in the oven. Cutting into it became an exercise in frustration. Recently I found this one, in Jamie Oliver’s delightful book Jamie’s Italy. There are several layers of genius here. The first is baking the eggplant rather than frying it. If you have fried eggplant, then you know it is really just like a vegetal sponge which soaks up oil at an alarming rate. 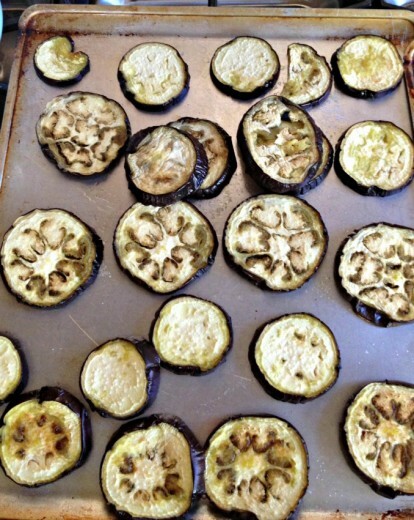 For that reason, whenever I have made eggplant parmesan, I bake the slices until they are soft and slightly browned. Just a drizzle or a brush of olive oil is all you need and some time in a 375-400º oven. I’ve also grilled the slices for a bit more smokiness. 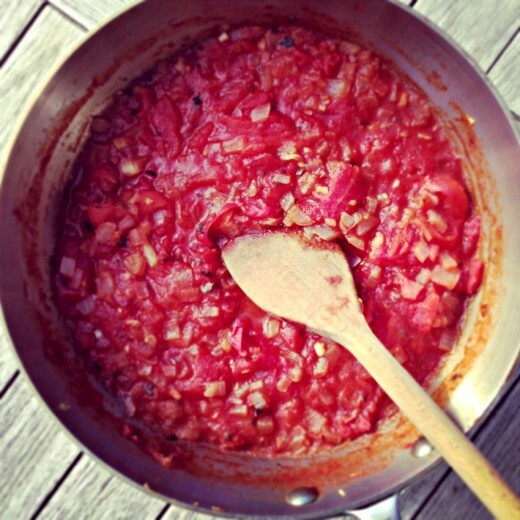 The sauce that Oliver has you make is kind of your typical tomato sauce, except that it has a splash of wine vinegar at the end of cooking that does wonders for waking up the sauce and, in my opinion, the whole dish. 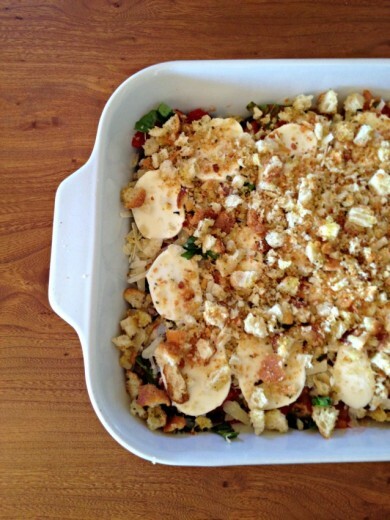 There is a lot of Parmesan cheese and just a bit of mozzarella (which he says is optional, I say is necessary), and the whole thing is topped with bread crumbs that have been tossed with a bit of fresh (I used dried) oregano. That bit of crunch brings texture to a somewhat mushy dish and makes it a superstar in my humble opinion. This is a Jamie Oliver recipe and if you have any of Jamie’s books, you know his recipes are written in a delightful voice. Very conversational and very him. I feel sort of funny using his unique voice so I’m going to change the recipe instructions to reflect some of the changes I made and to streamline them a bit. Finally, at this time of year, eggplant can be a bit dodgy, to use a British term. You want to look for those that are heavy for their size with a nice tight skin, and no soft spots. Even being careful, you can sometimes end up with one that is bruised beyond using, so I tend to buy an extra eggplant just in case. If you are making this delicious dish in the late summer/early fall when eggplants are gorgeous, no need to buy an extra. Preheat the oven to 375º. Choose a casserole dish. I used a ceramic 15×10-ish inch ceramic pan for my dish. You can certainly use something smaller that will give you more layers and therefore a thicker casserole. Whatever you choose, put in a small layer of tomato sauce, then a thin scattering of Parmesan, followed by a single layer of eggplant. Repeat those layers until you’ve used all the ingredients, finishing with the mozzarella, then a little sauce over top, followed by the last of the Parmesan. Toss the breadcrumbs in enough olive oil to moisten them, and toss them with another teaspoon or so of dried oregano. Scatter the breadcrumbs over top. Place the dish in the oven and bake for about half an hour, until golden, crisp, and bubbly. Allow to set for 10 minutes before cutting into pieces.